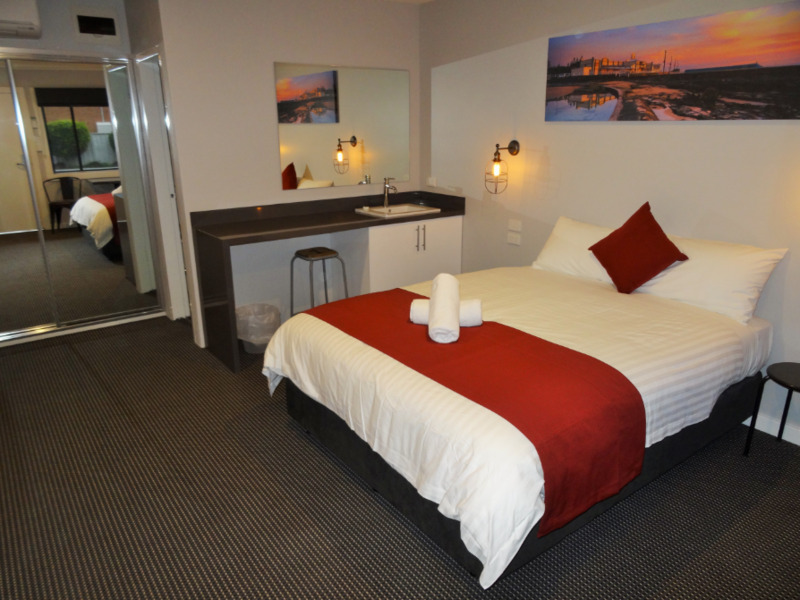 Click here to book your accommodation in Newcastle. Studio and two-bedroom suites all with modern, stylish and elegant furnishings. Suitable for long term, weekly, weekend overnight. Offers a multitude of dining and entertainment options. Offering rooms, suites and apartments. Comfortable bedrooms, flat screen televisions with in-house movies, Wi-Fi available, Internet kiosk’s at Reception, 24 hour opening. 24 hour reception, outdoor pool and marquee, restaurant and bar. Laundry service and an Internet kiosk and gym. Rooms have ensuites, air conditioning, queen beds, free in-house movies, FOX sports, complimentary high speed internet with unlimited downloads and tea/coffee making facilities. Perfect for business or leisure. state-of-the-art function facilities, outdoor heated pool, breakfast lounge and bar. 1, 2 and 3 Bedroom Apartments for short and long-term stays. Welcome drinks and nibbles is provided. 4 luxury private suites each with attached outdoor deck or court. Private courtyard, lounge (with television, tea and coffee, library and games), dining room, hall and bathroom. Air conditioned with ensuites prices, own fridges, tea/coffee, free wifi. Kitchen and Laundry facilities available. Luxuriously furnished, with plantations shutters throughout and highest quality wool carpets. Large rooms, high ceilings, tallow wood floors. 24 hour access, smart tv, free wi fi. Printing, scanning etc. for business travellers. Perfect venue for business or pleasure. Spacious, bright, clean, private and very comfortable. Crisp white linen, flat screen televisions, individually controlled air conditioning and free wireless internet, monsoon showers. Tea/coffee making facilities, a refrigerator, Foxtel, wireless internet and direct dial telephone. Variety of accommodation including ensuite and two bedroom cabins. Tent and van sites, modern amenities and camp kitchen facilities and WiFi access.